See Linda as Artist in Residence at the 2006 Missouri State Fair. 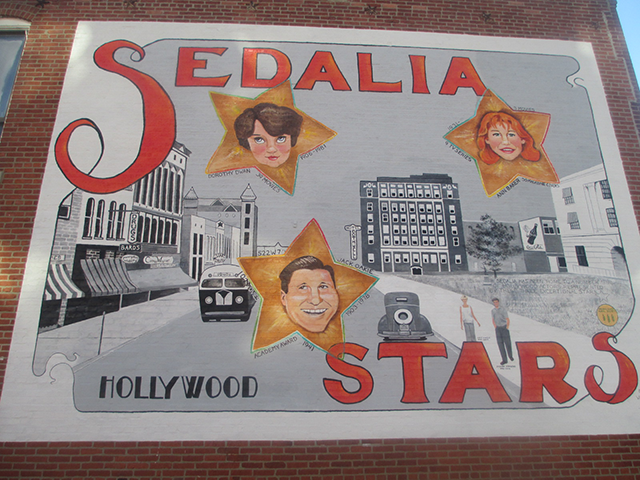 Visit Linda's SVAA page on the Sedalia Visual Art Association's website. Click here to see the JCTV interview with Linda Hoover and Glenda Miller. Linda Hoover is a woman whose passion for art has led her to pursue several forms of artistic expression. She's a portrait artist who strives to go beyond simply painting an accurate likeness of the subject. Her goal is to create works of art that will be valued family treasures. On the other hand she spends time as a caricature artist at parties and local fairs doing quick, cartoon-like drawings of people for sheer fun. Besides portraiture, Linda has inherited a love of the watercolor medium from her mother, and she delights in exploring the unique possibilities and distinctive transparency of watercolor. Combining the passion for watercolor and a delight in art history gives her a sense of connectedness with artists throughout time. The objects in these paintings are a combination of bits of well-known masterpieces and personally meaningful items that she weaves together in some of the more or less complex compositions shown in the Fine Art page of this site. Sometimes, she works in watercolor for her serious portraits, and so these two areas can overlap. These days she can often be found working on large inside or outside wall murals or working outdoors or in her studio on her latest series. Living in a rural area in the heart of the Heartland in a low population area, surrounded by farms has given Linda the opportunity to develop these divers artistic interests, and others besides. (She had a sign painting business for 10 years and still paints an occasional sign.) In a large population area, an artist might need to focus on a specialty. But an artist in a low population area needs to diversify to find markets for their art. This challenge is also an opportunity to work in the variety of forms and mediums shown here and that suits Linda perfectly. 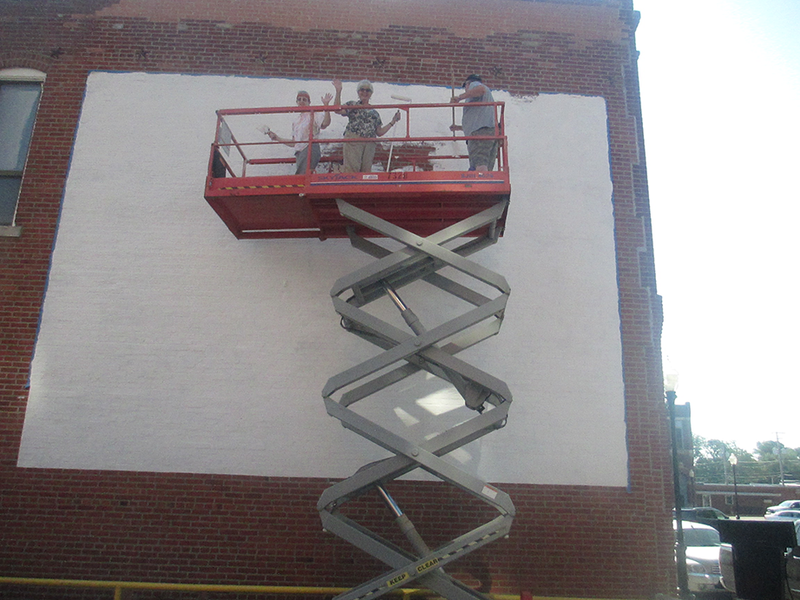 Linda with her crew, Glenda Miller and her husband Dave, at the start of the big mural in Downtown Sedalia across from the courthouse.